If you haven't read the pledge program update, please do so here. Battle for Germany Designer’s Edition. This will be an update of the several previous editions. It will retain the original map, counters, and rules with a graphic update and enlargement to a full-size game board and larger counters. It will also include optional rules and counters from the 1994 DG edition and various MOVES articles and other sources (as the counter limit allows). Axis Empires Expansion Kit. Fans of Axis Empires: Totaler Krieg and Axis Empires: Dai Senso will want to get this – it’s a big, big package designed to add even more enjoyment to our popular series of World War II grand strategy games. The AE Expansion Kit includes three parts. 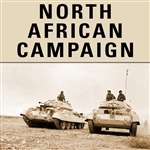 North African Campaign. There is no paperwork or data tracking in this remake of the SPI classic; streamlined but realistic procedures allow the realistic portrayal of unit assignment and supply expenditure. Command and control cards drive the action, enabling a player to tailor his emphasis on building units, gathering intelligence, conducting operations, or building up supplies. The map has been given a graphic update. The air war is updated and enhanced and the OOB presents the latest research with all units at a battalion level (armor in companies and air units in squadrons). Est. Five maps, eight counter sheets, illustrated rules booklet, Campaign Analysis.